Auditions for our award-winning competitive Performing Arts Ensemble(PAE) are held annually at RDA in the summer with our faculty and with a special guest artist and guest adjudicators. This is a rewarding and challenging weekend event, where dancers dig deep and show their talents through a professional style audition! It takes a Spark to start a dance Revolution, and our Sparklers (age 6 and up) are adorable and talented! As the Sparklers take off and soar to the next level they are ignited as Firecrackers (age 9 and up) who are inspiring young dancers sharing their love of dance with fantastic performances! Our highest performing dancers have worked hard to achieve placement in our Youth Company (age 11 and up) and Company age (12 and up). 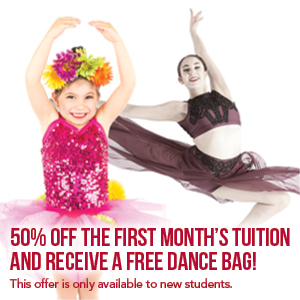 These dancers train several hours each week in the disciplines of Ballet, Jazz, Modern, Acrobatics, Hip Hop, Tap, Lyrical, Contemporary, and Broadway jazz. Ballet Company, Youth Company Jazz, Lyrical, and/or Tap, Company Jazz, Contemporary, and/or Tap, Hip Hop, Acrobatics, and Broadway Jazz. These enthusiastic performers compete and perform all over the country, have been awarded National and Regional Titles and have traveled extensively. These dancers take classes from some of the best teachers in Colorado Springs and from all over the country. 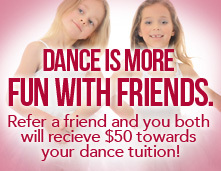 They also have many opportunities to get advanced dance instruction here at RDA and in Colorado. Our amazing performers have an extraordinary reputation for their exceptional technique and artistry as they strive towards mastery of a variety of dance genres. Ages listed are approximate and flexible, placement is based on merit and maturity at the discretion of their teachers and adjudicators. – Thank you for dancing with us!